Samak or sama rice is commonly known as jungli rice or barnyard millet and is a type of wild grass. Samak rice is commonly used during fasting days, as it is the best option besides normal rice. Usually people make samak rice kheer, chapati or pulao. Here I am making sama rice kebabs flavored with cardamom powder along with potatoes and some fasting spices. 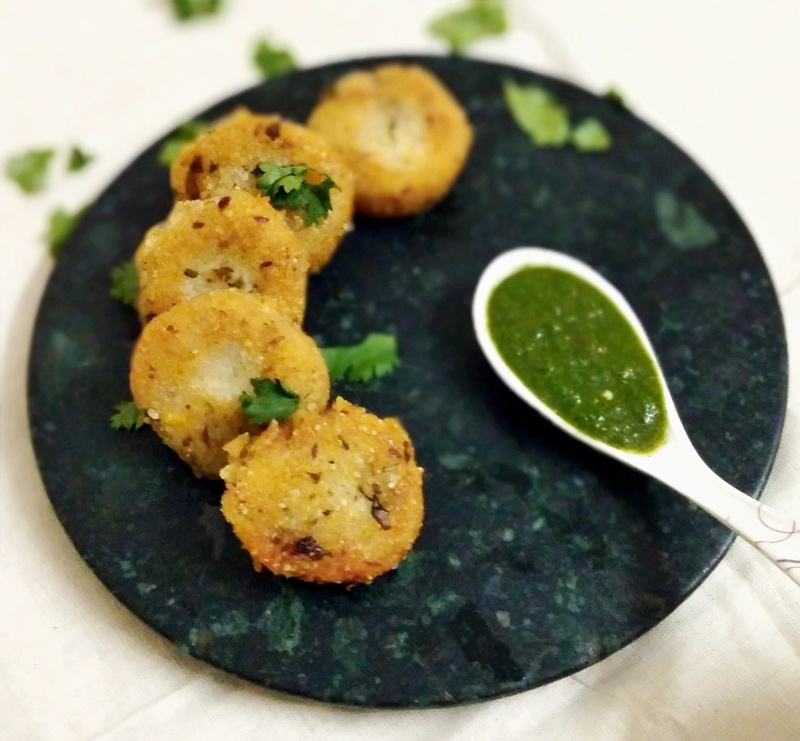 I have filled these kebabs with grated paneer and raisins, however you can also use other dry fruits as per your choice. As samak rice are crunchy by nature thus I have not added too many crunchy dry fruits like Almonds, cashew nuts and pistachio. Soak rice for 2 hours in water then drain the water. Heat ghee in a pan add cumin let them crackle a minute. Add green chili, ginger saute a minute. Now add rice stir and turn the heat on slow. Add black pepper powder, cinnamon powder, clove powder and salt mix it well, add cream, cover and cook for 10 minutes on slow heat. Switch off the gas let the cool completely . Now mix potatoes, dry mango powder, coriander leaves, cumin powder, cardamom powder and flour mix well . Now divide the mixture into equal portion and shape them to kebabs fill with stuffing and seal it carefully. Heat oil and fry them till golden and crisp on medium hot heat. Serve hot with chutney . You can cook the rice in water but cream gives a very nice and rich texture. Increase the spices as per your taste.